Hey, guys! It often seems like the blogosphere gets overrun by certain popular books that everyone reviews, reads, and enjoys. However, I think we all have a few popular books that it seems everyone's read but us. So in honor of that, here are some popular books I haven't read yet - and really don't plan to. Besides sounding straight-up uninteresting, I've heard so many people in the terminally and chronically ill communities talk about how inaccurate and offensive the "representation" is. I'll pass, thank you. Ooh! I'm sensing a trend! Besides the fact that I don't like a) contemporaries, b) contemporary romances, or c) contemporary straight romances, I'm also not a fan of John Green. After being thoroughly underwhelmed by Paper Towns, it'll take a lot to get me to try another one of his books. And if I do, TFIOS will definitely not be the one. Everyone but me: "THE LUNAR CHRONICLES IS SO WELL-WRITTEN AND AMAZING AND EVERYTHING AND AHHHHH." Me, scratching my head: "Are we reading the same books????" I've tried, fam. I've tried so many times. But I can never get past the first chapter. While I love the concept, Cinder comes across as the Ultimate Snowflake. And the writing is just....bland? Look, folks. Shades of Magic and Villains are both high on my TBR. So it's not that I dislike Schwab; in fact, I think the majority of her books look awesome! But this one in particular? The premise sounds typical and predictable and does not interest me in the slightest. Aside from ALL the homophobia/acephobia/sexism/racism controversy swirling around SJM, I am firmly of the opinion that her writing is dreadfully amateurish. I've read chapters from Throne of Glass, Empire of Storms, and Heir of Fire, and I had to drag myself through every sentence. So I'll take a pass on these, thank. i've also been told to read everything, everything and the lunar chronicles. i might read them eventually, just to see if they're really that great, but it won't be anytime soon. i'll give you the sun is a book i've heard a lot about. have you read that one? Yeah, I've tried reading it a few times, and I honestly can't connect to the characters or stand the writing. No, I haven't, but I have heard of it! It's one of my friend's favorite books. You might find it interesting, from what I understand of the concept. Every time I hear someone praise TFIOS for its illness rep, a little bit of my soul dies. Every cancer experience is obviously different, but as somebody who actually, y'know, HAD cancer as a kid, I feel like I'm allowed to say that the representation of what life is like during + after going through something like that, just really wasn't done well in TFIOS. It was romanticized far too much for my comfort. I love this post idea, Ellie!! I'd love to see other books you don't plan on reading. I've heard so many people say that that I'd kind of feel like I'd be betraying them if I read TFIOS? I mean, if I ran across a book with bad pan rep and found out that everyone was praising it for its accuracy, I'd just......I couldn't. OH FAM, DON'T YOU WORRY. I'VE ALREADY TYPED UP A SEQUEL. Aww, I'm sorry you can't get into The Lunar Chronicles! I'd say go for Heartless, though-- you shouldn't miss out on Marissa Meyer's writing. I read Everything Everything a while back, after a friend recommended it, and it was just??? Not that good, writing-wise??? I can't comment on the illness rep because I've never experienced it myself, but I struggled throughout the entire book because I found the writing to be dryer than a sun-burned cornflake. I'm wary of reading SJM because tbh this is like the fifth post I've seen THIS WEEK talking about how problematic she is...I've read one of her books and actually found myself not liking the protagonist? Granted, you can still read her works and decide for yourself (and like the parts that aren't problematic)! But I'm still pretty skeptical of supporting someone who's hurt so many of her fans. Which one did you read? i've been wanting to read everything everything for a while now, but after tfios and this i guess not..? oh well. 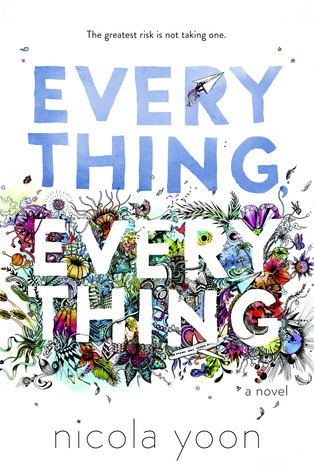 Speaking as someone with allergies, Everything Everything is definitely not a good book. Some people don't believe that food (or other) allergies exist, or that they can be that severe, and some people already think that it's just an overprotective parent. I'm really glad you've decided not to read it. :) It's hard to see it on so many bestseller lists and the movie trailer when it has so many incorrect ideas. 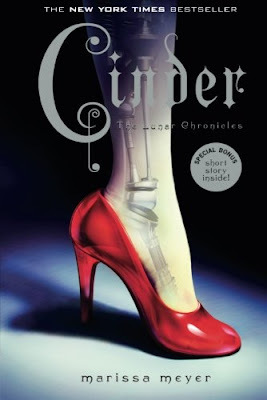 I read Cinder recently - most of my friends love it but I didn't really like it all that much. Can you explain some of the controversy around SJM's books? You don't have to, but they've been on my TBR list for a while and I've been recently hearing a lot of negative reviews andI was curious as to why. Have you read All The Bright Places? I've heard some great and not so great things about it and I usually don't read romance, but I do find mental illness representation in YA interesting, so I might try it. Well, diversity is a huge thing in fiction right now, right? It's something that's super important to a lot of people. SJM has a huge cast of main characters, so you'd think she could include some diversity in there somewhere. But as far as I know, there's only one (?) gay couple, and they're very minor characters. Her latest release, A Court of Wings and Ruin, had some acephobic comments in it. And the only characters of color were minor and killed off in order to further the agenda of the white, privileged main character. SJM is entirely unapologetic about all this, which is the main thing that rubs most people wrong. I have! I can't speak to the accuracy of the rep, but I did find it well-written and mostly enjoyed the romance. If you read it, I hope you like it! Exactly. The ending of "Everything Everything" does nothing to help that. Okay, great! I've heard some mixed reviews, but I'm glad you like it. It's been on my tbr for two years, since before it came out, and I still have yet to read it. The life of a bookworm. A lot of these I completely agree with! TFIOS just isn't worth it at all, and neither is TOG. I really don't fancy Everything Everything (I'll like the band a lot more! ), but I really enjoyed TSS. I didn't find it predictable at all, just really exciting. One book I'll never read is Love Letters To the Dead - it just looks so dull and drab! Haha, I've been hearing that a lot about TSS :) Ahhh, thank you!! Love this post :D Although I really enjoyed The Fault In Our Stars and Cinder, I can see why they wouldn't be for everyone (The Fault In Our Stars is honestly miles better than Paper Towns though). My list would be absolutely anything by Cassandra Clare (which is awkward because she has that series with Holly Black, and I really enjoy Holly Black's work) and Harry Potter and the Cursed Child. Thanks! I do intend on giving John Green one last shot with Will Grayson, Will Grayson. Have you read that one? I was going to read Cursed Child?? And then I was like "maybe," and now I'm just......ehhhhh. I wouldn't mind reading it if I had to, but I don't really want to. Does that make sense? I might try Cassandra Clare eventually, but I have NO FREAKING IDEA WHERE TO START. I actually loved all of those books (minus This Savage Song, though that's on my TBR), but you're entitled to your own opinions. I have my own popular books that I don't plan on reading too. As for #5 and #4 I made a conscious decision not to dwell too much on whether it was properly represented or not, and focused on how the book in general made me feel. Yes, we all are! Ooh, what are they? I completely feel you with John Green, TOG and Everything, Everything. I have no plans on reading them myself either, mostly for the same reasons. I have read Cinder, and I have to admit you're not missing out on much. Winter was amazing but was it worth slugging through three bland books to get to it? Probably not. "I have to admit you're not missing out on much" *room explodes in chorus of OOOHS* I SENSE SOME SERIOUS SHADE. ...but....I like romance. (mostly) I probably won't read it, but I'll keep your words in mind! On this list I've only read TFIOS because I am John Green trash because Vlogbrothers and I read it back in 2012 very soon after it came out! Now I'm curious as to what you think of John's new book announced last week that is set to come out in October of this year?? Maybe that's the one... ;) I'm sorry, I've succumbed to my cultish ways hahaha. I NEED TO WATCH VLOGBROTHERS. I'm going methodically through all of Hank Green's channels, though, starting with all the Sci Show ones. Have you watched any of those? I love them <3 I've heard of it, and I think the concept is mildly interesting. Nothing that makes me smash the "to read" button, but nothing that makes me discount it automatically. I think I'll be waiting to see. WGWG is on my TBR! Since Green coauthored it and it's gay, I'm willing to give it a shot. THE COVER IS SO PRETTY, TOO! Okay but your mom and grandma are my queens, so that's a valid excuse. XD I look forward to your thoughts! Have you read ACOTAR? ugh. thank you for not reading Everything, Everything. just seeing the cover pisses me off, and my health issues weren't the one trivialized in both the book and the movie. (also, damaging romantic relationships? DON'T TELL SICK KIDS THAT THEY NEED TO SACRIFICE THEIR HEALTH FOR LOVE. JUST DON'T.) it frustrates me to no end seeing authors and bloggers who are such strong advocates for well-written diversity praising how wonderful this book is. it's not. it hurts. and that's just messed up. The Lunar Chronicles are just ehh for me...I read all of them when I was younger, but if we're being honest, the only one I really liked was Cress. I struggled to read Scarlet and Winter and I don't think I even finished Stars Above. the concept is really interesting to me, and I liked the banter, so I was willing to give it a shot, but in the end it became super stale and bleh. The Fault in the Stars I have a love hate relationship with. first of all, I just really don't like John Green's writing. some people do, some people don't. (this may also be because I read most of his books when I was an extremely depressed teenager and the subject matter of his books only amplified what I was feeling). when I first read TFIOS, someone in my own family had terminal cancer, and the book really helped me sort through some of the feelings I had. HOWEVER, it frustrates me that people continue to romanticize illness. and this book definitely does that. 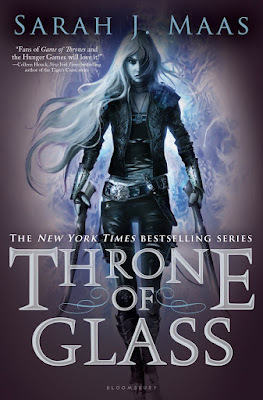 The Throne of Glass books...I own all of them up until book 4...and I wish I didn't...I made the mistake of impulse buying, and while I enjoyed like the first two, the more and more I read about the books and became aware of how lacking they are, I definitely didn't want to read them any more. Same with ACOTAR and all those other Maas books. just...no. Ugh, I KNOW. I can't empathize (though I do sympathize!) on the disabilities and illness front, but I know that biphobic, homophobic, etc. books hurt me as much as panphobic stuff does. Furthermore, any inaccurate and harmful rep shouldn't be supported. Period. Yeah, I know the feeling. :/ I love the concept!! It just looks SO bland. Green and I have a love/hate relationship as well. I loved some parts of Paper Towns and can't stand others. The fact that so many of his books he thought were horrible (ex. Looking for Alaska) became bestsellers is inspiring to me as a writer, but I don't like the idea of supporting someone who romanticizes illness. I'm glad TFIOS helped you with the stuff you were going through, though. Ahh, I'm sorry you didn't end up liking ToG! Haha, same. See, I'm afraid TSS will end up being like The Raven Cycle. Is the Raven Cycle tropey? Hell yes. Special snowflake heroine, lost kings, brooding bad boys, dashing rich guys....it's just that Stiefvater combined those tropes in a way that had never been done before. So everyone ended up praising it as super unique when none of the individual elements were. Maybe the way Schwab combines tropes in TSS is unique, but from a distance, it looks like all the elements are still tropey on their own. Cool badass heroine, tragic male who's a monster but isn't, enemies to allies, fugitives of the law.....I'm just not sure about this. Thank you for your understanding, though! Yes, exactly! 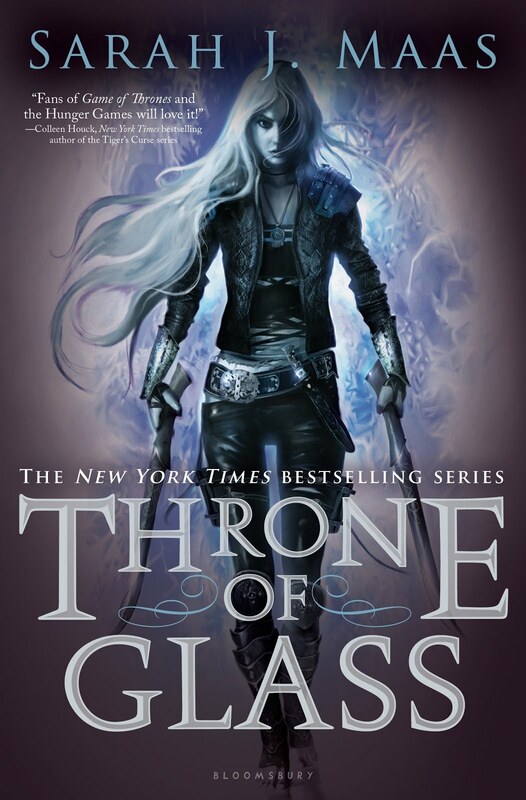 Vicious and Shades of Magic seem like just my kinds of reads, but TSS just doesn't interest me. I'm pretty convinced I won't read The Young Elites, but I might give Warcross a try! Yes, I often feel he tries too hard to put his characters into situations that make them super philosophical instead of letting the plot organically develop. Lmao, ikr? Yeah, Everything, Everything, The Fault in Our Stars, and The Throne of Glass series are not my cup of tea, either. I love The Lunar Chronicles, but I've heard that some people struggle with them. *shrugs* I would say that if you didn't like TLC, then I probably wouldn't recommend Heartless, because it lacks the humor and interestingness that TLC *did* have, but who knows? Different books work for different people. 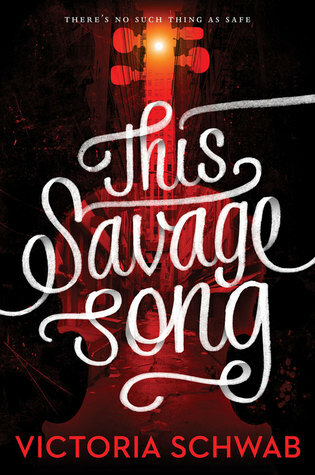 I really liked This Savage Song, too, but ah, well. I read the first of The Raven Cycle books, but it had very little that would make me want to keep reading. I don't think I'll read any Sarah J. Maas books... I don't know. 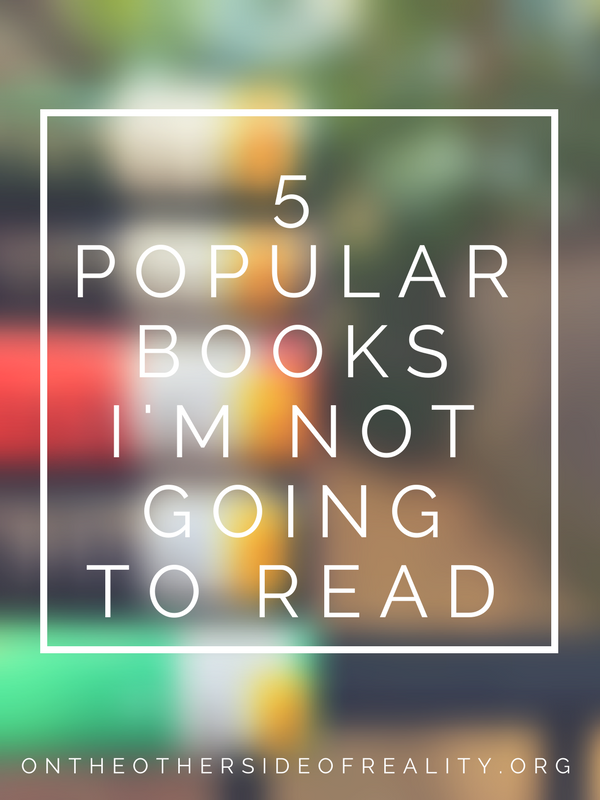 I think I might be a little out of the loop when it comes to other popular books! "Different books work for different people" - that's the perfect way to put it! Yeah, I definitely feel you on TRC. I liked the 2nd and 4th books, but the 1st and 3rd weren't really worth reading. Sometimes hype is just hype. 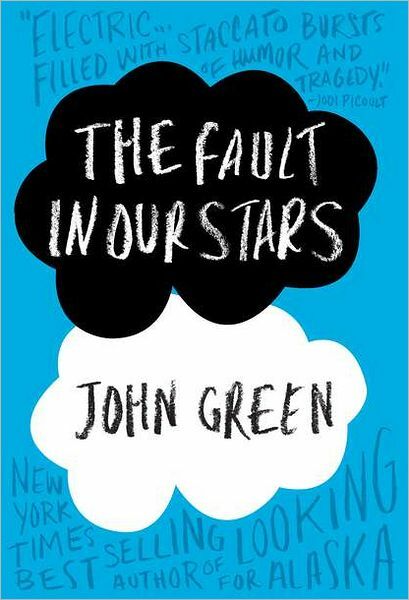 I've heard that all of John Green's work is like that, and I saw a fair amount in Paper Towns. I've always found retellings to be quite predictable since you already know how the original story is going to end. Agreed!